Have you tried felted wool dryer balls? Many options exist to help dry your laundry faster and keep it free from static. But have you looked at the list of ingredients on those scented dryer sheets? Even the unscented ones are full of chemicals. Instead of loading your laundry – that soft, precious fabric that touches your skin every day – with stinky chemicals that are in dryer sheets, these felted wool dryer balls will do the same job in less time. In a nutshell: The wool soaks up some of the moisture in your laundry as it dries, but then evenly distributes it into the air – helping your dryer stay humid longer, which greatly reduces static cling. In addition, this “soaking and releasing” action makes your clothes dry faster. And all of these things together mean fewer wrinkles. Best of all, they’ll last up to 1000 uses or more! That’s years without having to worry a single bit about static, dryer sheets, wrinkles and, buying supplies. This is the best part of felted dryer balls. 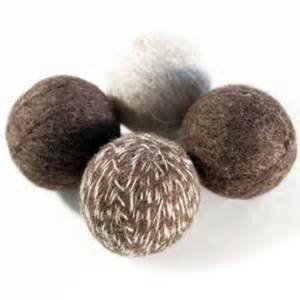 100% wool balls increase fluffiness & reduce static as dryer loads tumble. Maybe you’re using those plastic PVC dryer balls because you don’t want the chemical scents from commercial products coating your laundry. The problem is, plastic releases all kinds of nasty chemicals when it’s heated. Ditto for tennis balls. 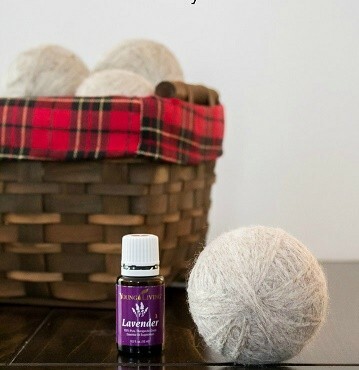 Wool dryer balls are a much more natural, chemical-free alternative to all the other options out there. Just throw these babies in the dryer with your freshly washed clothes, and let them do their work! For regular loads, use at least 4-6 balls to notice a decrease in drying time. For large loads, use 6 or more wool balls. The more you use, the more quickly your clothes will dry. Store your dryer balls in the dryer between uses or display them in a basket in your laundry room. (They’re pretty!) If you want to lightly scent your laundry you can add 1-2 drops of your favorite essential oil to each ball before throwing in the dryer. If you’re using a good quality, pure essential oil, you will not have trouble with the oils spotting your clothes. Interested in high quality essential oils?